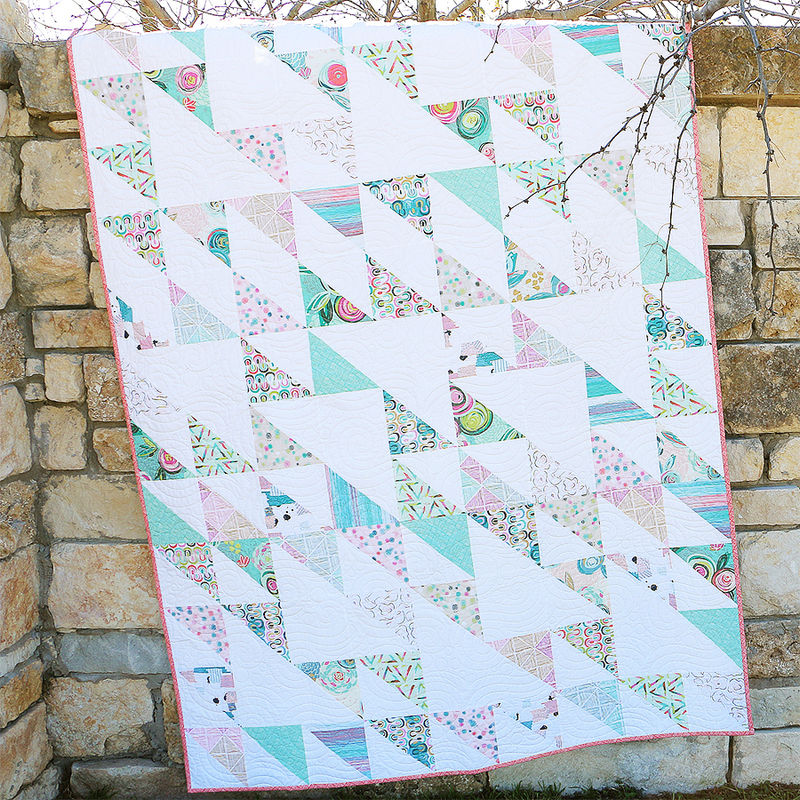 Fat Quarter Shop's Jolly Jabber: AGF Stitched with Kimberly: Blithe Quilt with FREE Pattern! 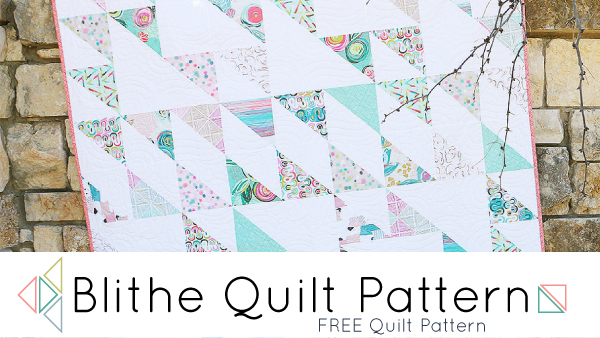 We're pleased to share a new, free quilt pattern: the Blithe Quilt Pattern! More great news: we have a wonderful new video to go along with it. Quilt along with Kimberly and complete this stunner in no time. Our AFG Stitched with Kimberly Blithe Quilt Pattern video will be an invaluable tool as you get ready to start stitching so be sure to watch and subscribe to our YouTube Channel! Whether you choose to make this quilt with the lovely Chalk & Paint collection as seen above, or customize the pattern with your own fabrics and colors, we know you'll fall in love with Blithe. If you'd like to make the quilt as seen below, we have a Blithe Quilt Kit and Blithe Backing Kit. 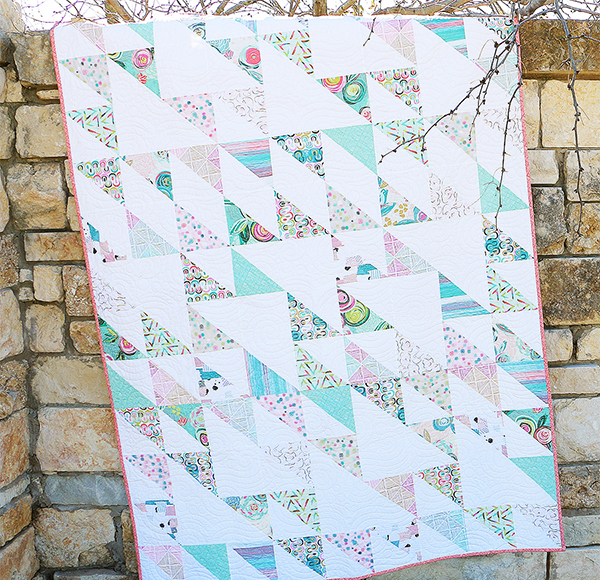 These kits make it quick and easy to get the fabrics you'll reproduce this gorgeous quilt! Blithe is such a dynamic and fun-to-customize pattern that we've asked some talented quilters to sew along with us. Please visit these fabulous sites to see their versions of this beautiful quilt. 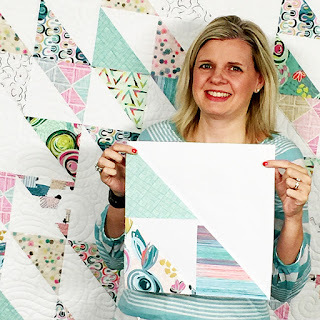 We hope you love this Blithe pattern, quilt and video as much as we do. Happy Quilting!